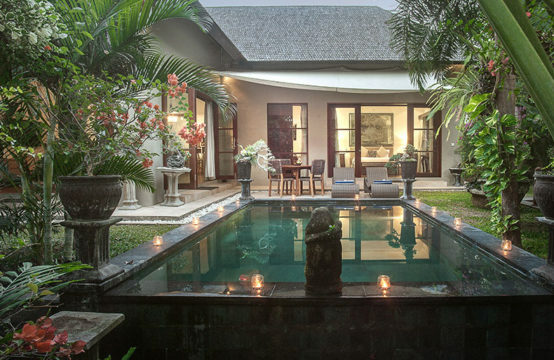 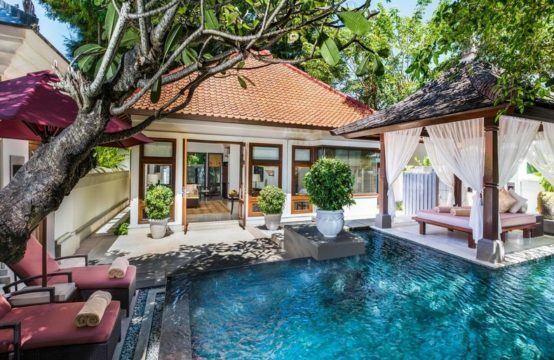 Set at the end of a leafy avenue, Villa Kawi tranquil setting creates a peaceful hide away right in the thick of Seminyak; a district famed for its golden sandy beach, world class restaurants, trendy bars and designer boutiques. 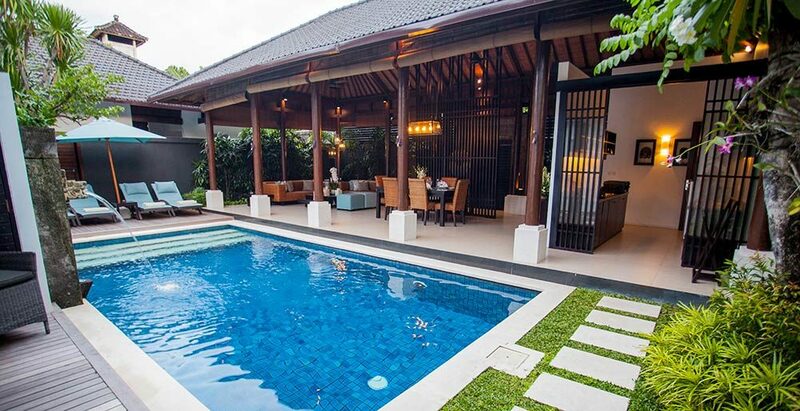 Named for a spiritual mountain in East Java, where thousands of pilgrims come to seek worldly blessings, Villa Kawi has a contemporary Balinese design, blending dark and natural timber with creamy stone. 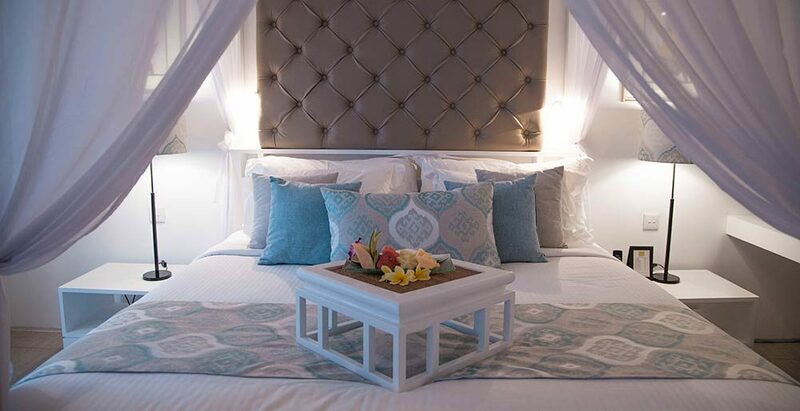 An ode to elegant tropical living, minimal adornments include sprays of orchids and a smattering of local art work. 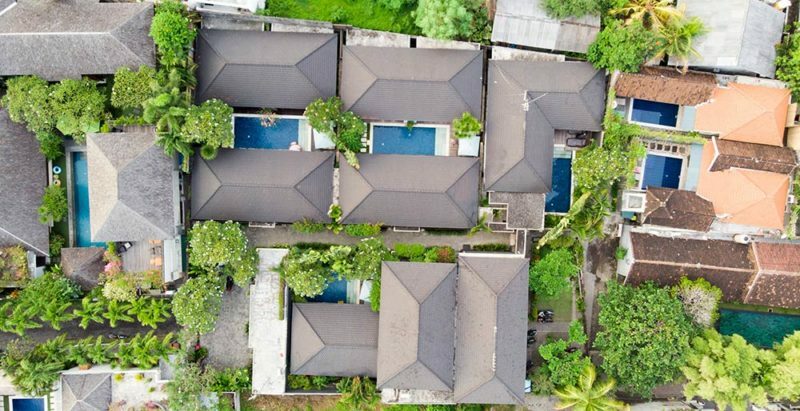 The atmospheric open-sided living pavilion has tall sloping ceilings and overlooks a swimming pool fringed with pandanus palms and frangipani trees. 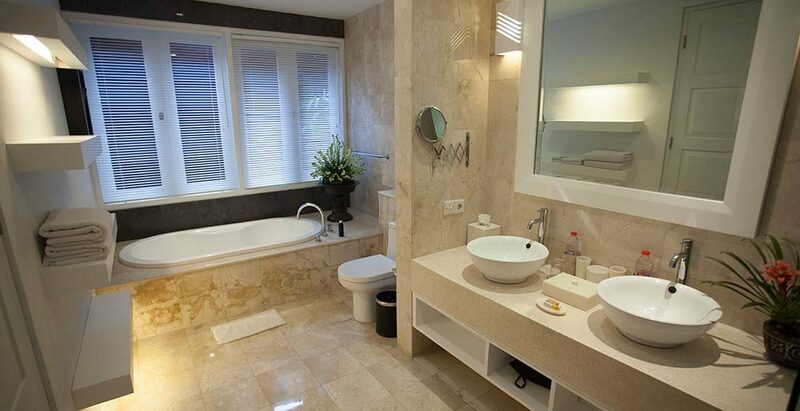 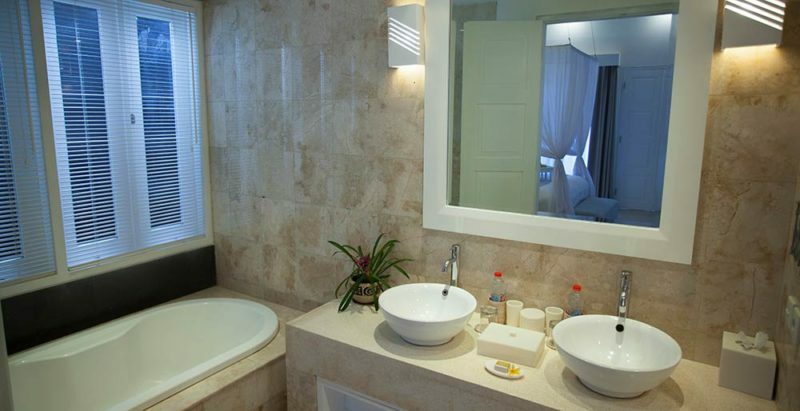 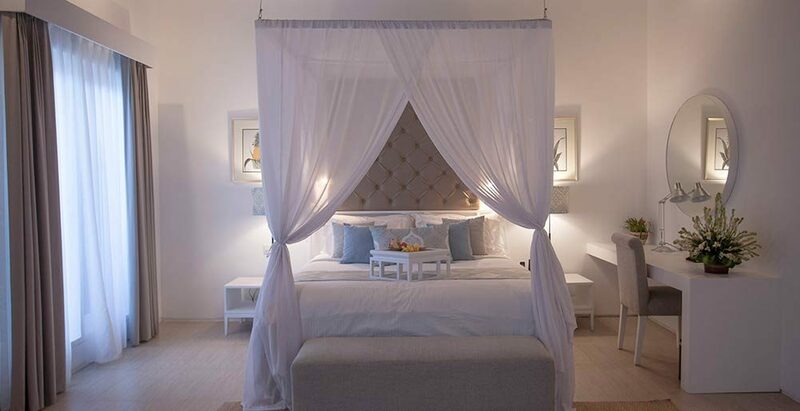 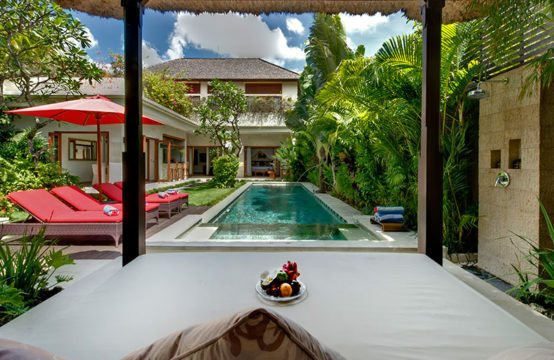 Two spacious air-conditioned bedrooms at Villa Kawi have delightful courtyard garden bathrooms. 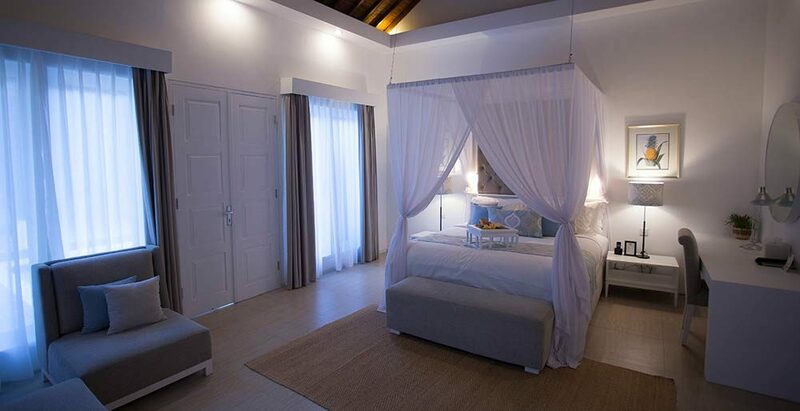 For those needing an additional bedroom and extra space, Villa Kawi can be connected to the adjoining one-bedroomed Villa Solo. 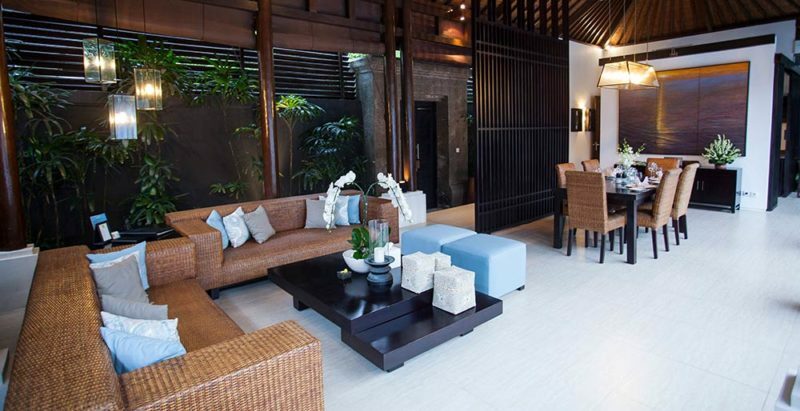 Or larger groups can benefit from adding Villa Toba (two bedroom) and Villa Ubud (two bedroom) to gain up to 7 bedrooms. 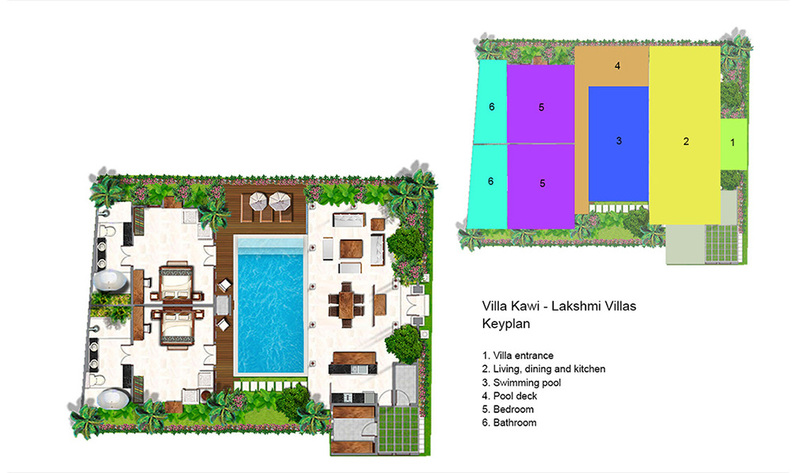 Lakshmi Villas are all within close proximity of each other in this exclusive enclave, however they still retain their individual privacy. 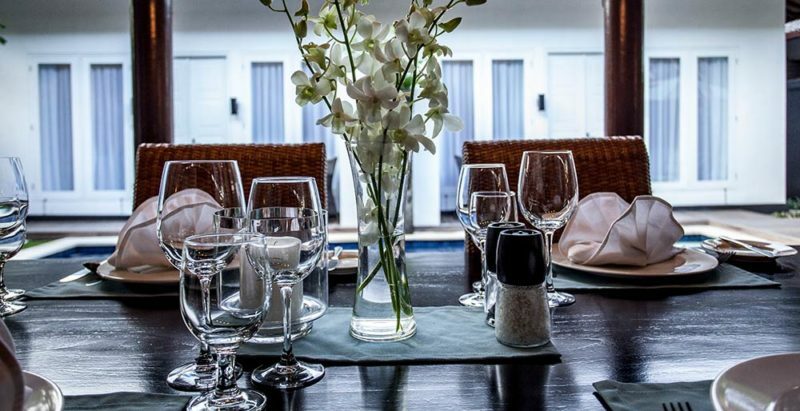 Our long-standing staffs provide a warm welcome and a discreet professional service, and include a 24 hour butler and a full-time manager, to take care of all your holiday needs, from car rental to tour bookings and restaurant reservations. 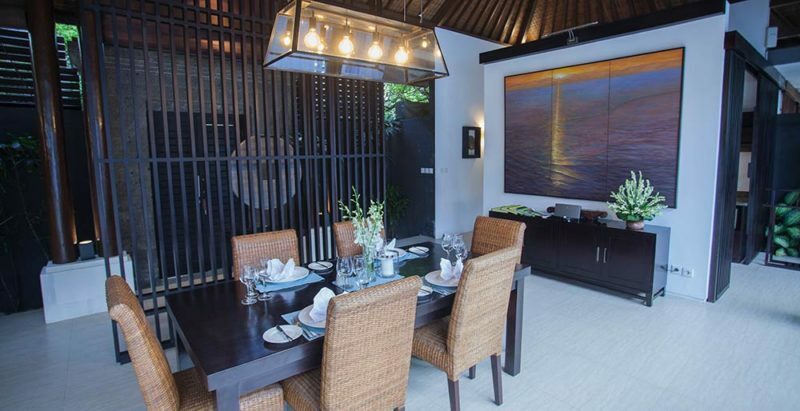 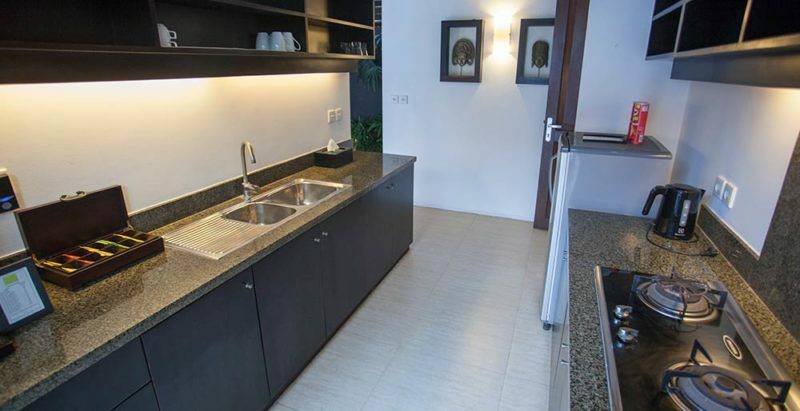 Villa Kawi has its own private kitchen, with mini bar and complimentary tea and coffee, while our Executive Chef prepares tasty meals in the master kitchen from an extensive a la carte menu that includes western and Asian dishes. He is also happy to accommodate any special requests – from kid’s meals to four-course feasts and pool-side barbecues. 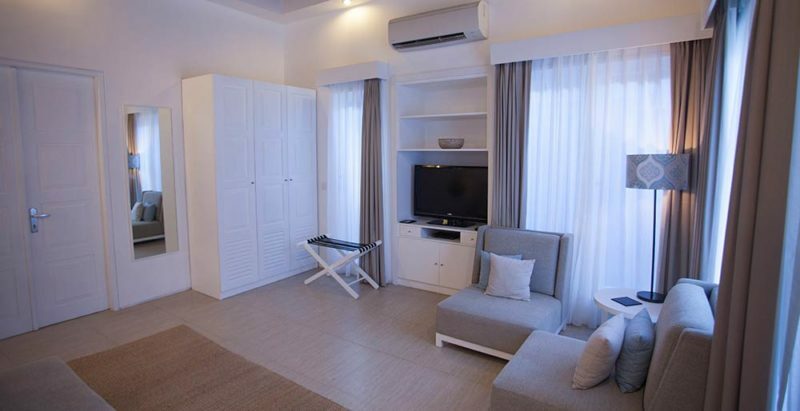 Capacity for 4 adults (2 bedrooms: 1 with king-size bed, 1 with twin beds that converts to a king). 2 additional beds available for an extra charge. 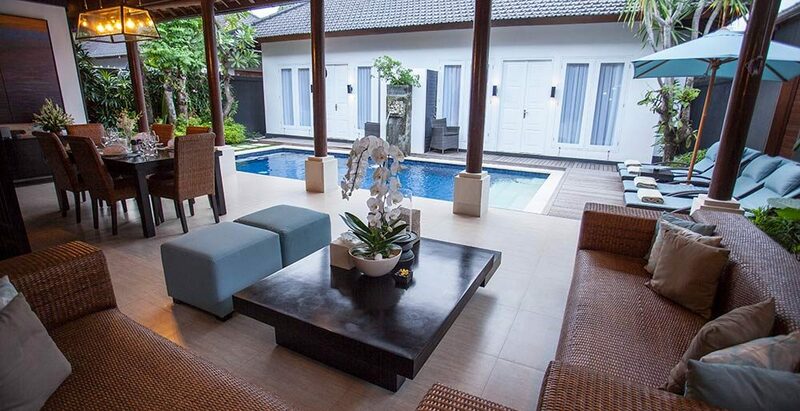 8m x 3.9m x 1.7m Pool.